Last weekend I attended Felice’s Therapeutic Imagery Facilitator Training. It was five billion times more awesome than I ever could have imagined it would be. I’ve been guiding my daughters on imagery journeys nearly every night since, and I can’t wait to share these new skills with everyone and anyone I can. So much healing happened in that sacred space last weekend. What an honor and privilege to have been a part of it. I love these women! After the workshop was over, I was talking with the lovely Anna Hargadon (one of the creators of the awesome film Women of Faith). She asked me, “So what’s your next project? Do you have anything you’re working on?” Maybe it was God’s way of nudging me to get moving. 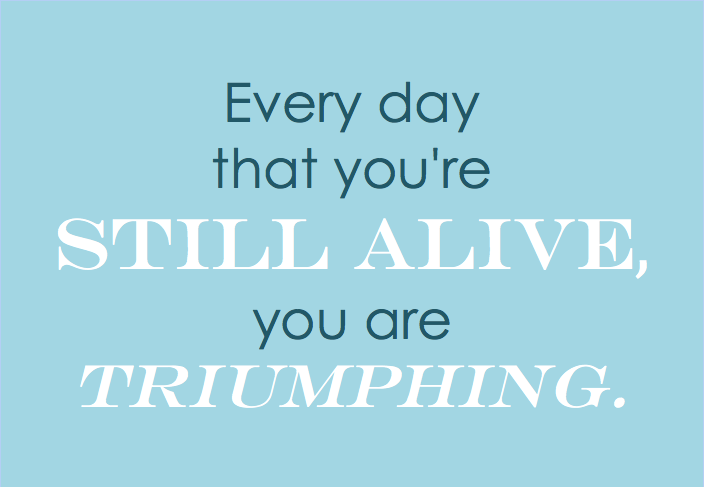 One of the first things that happened after I recovered my will to live last fall was that God gave me an assignment. It’s time to write another book, He said. Heather writes, “While we don’t know the details of Mary Magdalene’s infirmity, we might deduce based on what we know of the others whom Christ healed from evil spirits that she was tormented with some sort of mental infirmity. The fact that she had seven devils cast out of her suggests that her infirmity may have been severe” (p. 77). Heather explains that Christ called Mary “Magdalene” (meaning “tower of strength”) probably in much the same way that he called Simon “Peter” (meaning “rock”). After her healing, Mary became a devoted follower of Christ and a likely “tower of strength” to those around her, including Christ Himself. Of all the people Christ could have appeared to immediately after His resurrection, He chose Mary Magdalene. Being a woman who struggles with “mental infirmities,” I gather peace from Mary’s remarkable recovery. If Christ can turn an infirm and darkness-plagued Mary into a “tower of strength,” maybe then there is hope for me too? The title God gave to me for this book is inspired by Mary Magdalene, the original “Tower of Strength” and one of my heroes. 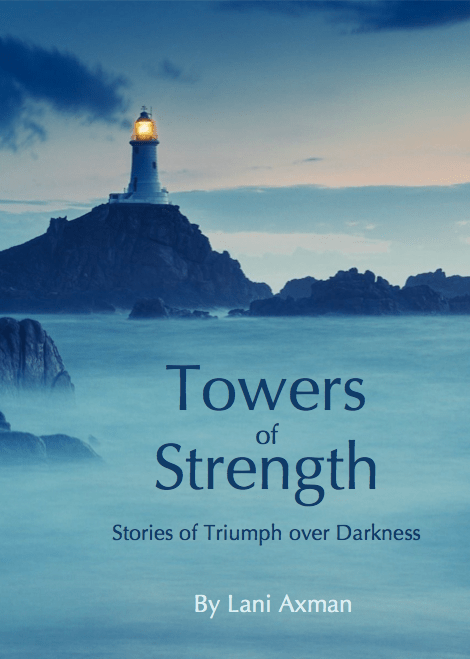 Towers of Strength: Stories of Triumph over Darkness. What do you think? This probably isn’t what the book will look like, but I had fun making a pretend cover. A quick search on Deseret Book’s website only brought up a few titles discussing mental illness, and none of them (as far as I could tell) is written from the perspective of the “mentally ill.” Mental health practitioners and caregivers certainly have valuable insights and perspectives to share, but I just feel strongly that we need to give a voice to the ones living with the illnesses. I feel like there is a sort of assumption that the mentally ill aren’t capable of speaking for themselves, but I couldn’t disagree more. Our voices need to be heard. It’s time. Spiritual thoughts and stories about mental illness from the perspective of Latter-day Saints, emphasis on stories of triumph. Written by those who have lived with and/or overcome mental illness. 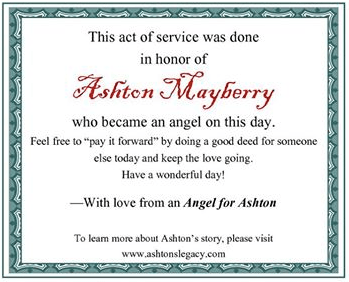 Similar to The Gift of Giving Life with stories from a wide variety of people with a wide variety of challenges. If you feel impressed that you have a story to share or know someone who might, please send me an email (askbusca at gmail dot com). And please spread the word on whatever groups, forums, and facebook pages you feel might generate interest. The deadline for story submissions is May 1st. And if you know of a publisher who might be interested, please pass the word along to them too! Thank you! I was tagged in this post on FB by a friend who thought I should write to you about your book. I just wrote a blog post about my Bipolar on my blog if you want to check it out. If you have any questions let me know. Good luck writing your book!